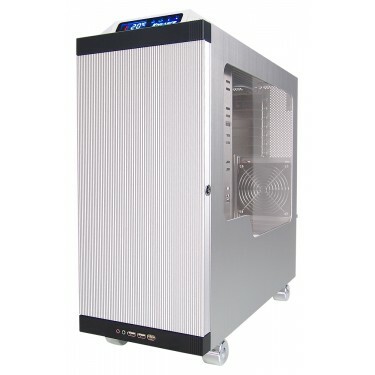 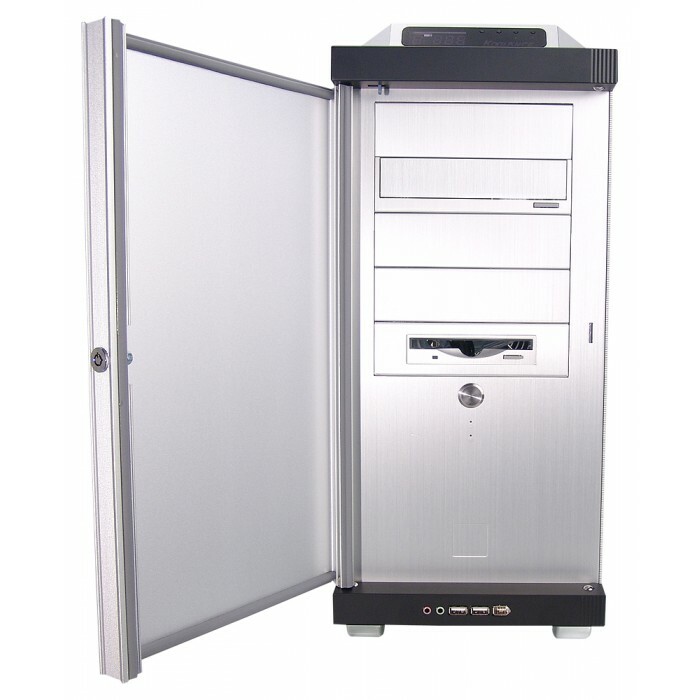 (Also available in silver) An ultimate combination of cooling power in aluminum! 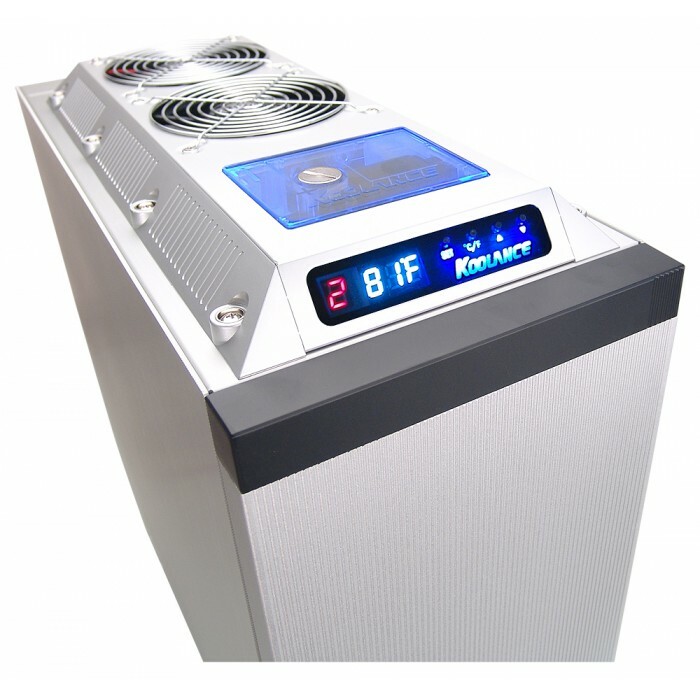 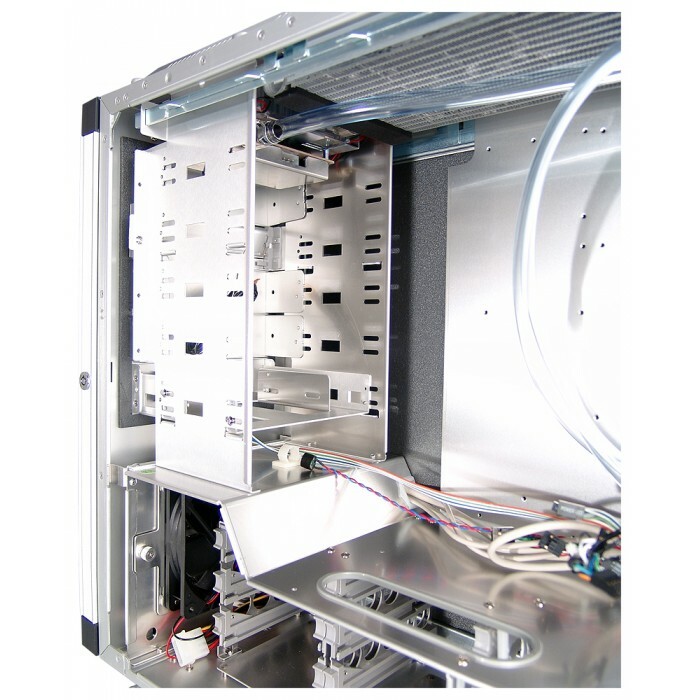 Koolance's PC3-724 includes the new 700W pro cooling system merged with a Lian-Li. 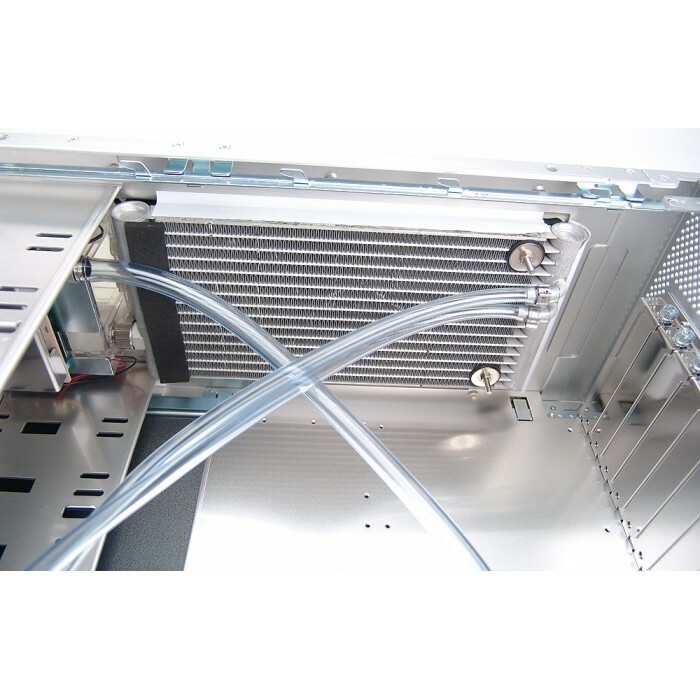 Dual 120mm radiator fans further reduce noise levels, while 3/8in (10mm) tubing tackles dual CPU, dual/SLI video coolers, and other demanding setups. The PC3-724 features a new Koolance LED display panel, which monitors 3 separate temperature channels- each with it's own configurable alarm setting. 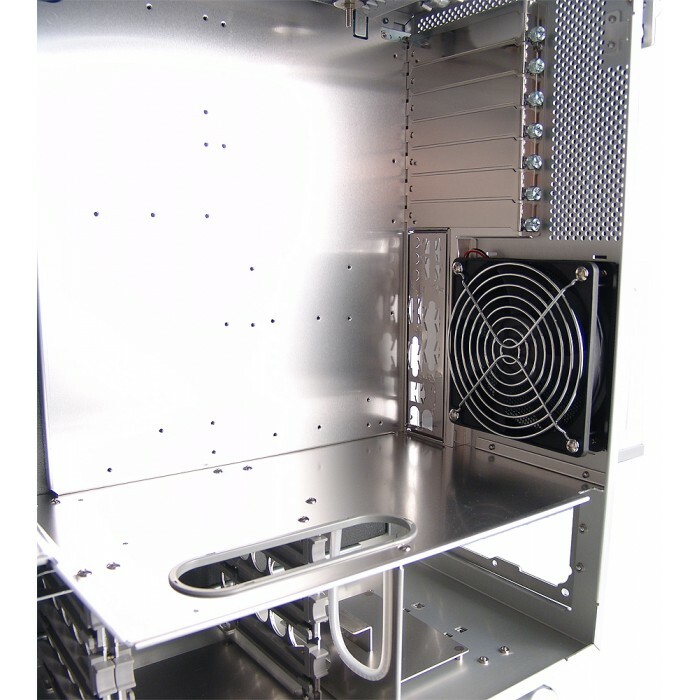 NOTE: PC3-724 and PC3-725 systems will fit power supplies deeper than 6.5" (16.5cm) if the nearest hard drive bay is removed. 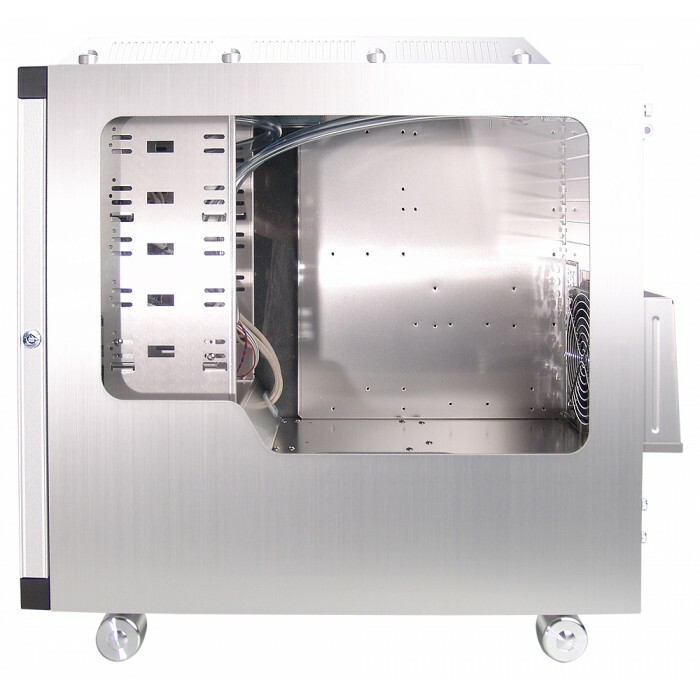 This would reduce the 3.5" hard drive capacity by half.